With seventy pieces of equipment and machines, the Center serves as a training ground for the most practical and up-to-date technical education. The Machining and Processing Center has shops for general machining, finishing and assembly, unconventional machining, NC machining, tool management, heat treatment and precision measurement. N.I.T. has about seventy pieces of equipment and machines, such as YAG laser machining equipment operating in this center. Experiments and practical training for mechanical engineering, as well as production of apparatus for research use are held here. The center also responds to requests for producing educational/research materials and provides technical support at the same time. One of the features of this center is that students are given unlimited use of it for their graduation work. In all possible situations, the Center plays a role as the place where students are provided unrestricted and practical education. While implementing new machining equipment which use innovative technologies, the Center strives to provide the most-up-to-date technical education. 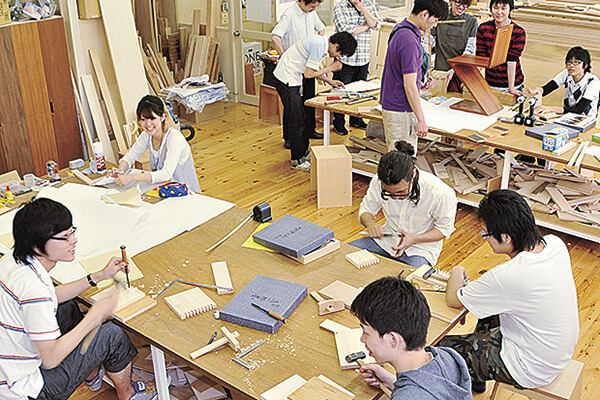 Making furniture at the Interior Design Laboratory. Designing and making original furniture. In this laboratory, students make pieces of furniture from the conceptual design stage, through to making the finished product. By making furniture in this laboratory, students can advance their conceptual ability to think about the density of architectural space. This laboratory is available for seminar work and pre-graduation work. There are specialized staff available dedicated to assisting students at every step of the process. After students have decided what they want to produce, the laboratory staff will help students put their ideas on to paper, then from paper to production. There is a full workshop of tools and machines for students to use. The laboratory staff will give students' safety training, and instructions on how best to use the tools. 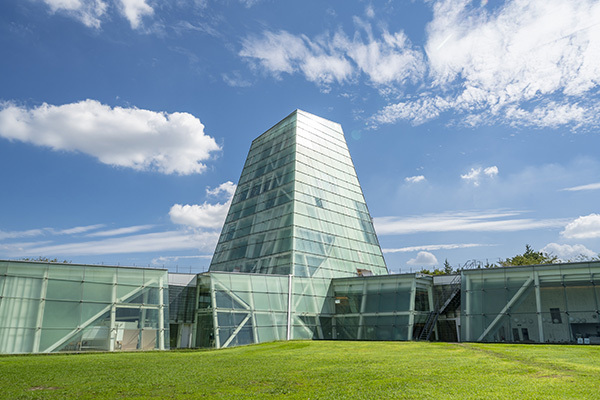 Well-equipped facilities support the center in pursuing education and research on innovative technology in Architecture. The center has a woodworking room, an experiment room and a soil laboratory to facilitate a greater understanding of information taught in classrooms. In the woodworking room, there are panel saws and automatic wood planers used for various kinds of woodworking and for manufacturing test pieces. The experiment room contain small-scale machining equipment such as welders, cutters and band saws. It also has a precision universal loading machine, constant-temperature, constant-humidity containment device, large dryer, and various equipment for concrete testing. In addition, various testing instruments for soils and piles are installed in the soil laboratory. With the above-mentioned facilities and equipment, the center provides instruction and conducts research on ground engineering, building materials, and concrete. It is also actively used for various experiments held within the architecture department, pre-graduation work, and woodworking for the teacher training course. With top-notch synthesizing apparatus and analysis instruments, development and evaluation of technology on new materials are conducted. 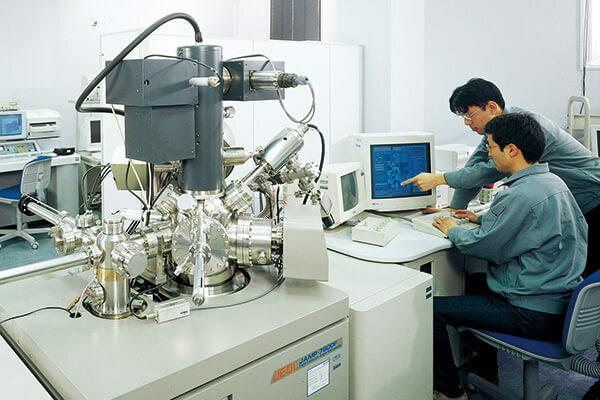 The Research & Development Center for Advanced Materials and Technology, provided with a grant from the Ministry of Education, Culture, Sports, Science and Technology, installed the most advanced synthesizing and analysis equipment to develop synthetic technology of new materials such as, nano-technology and carbon-made diamonds. With faculty from the Departments of Mechanical Engineering, Electric and Electronics Engineering and Systems Engineering as its core members, a research group consisting of researchers from domestic and international organizations such as NASA is vigorously conducting research and development to link such technology to a much more improved nano-technology. Helping industry and NIT work together. NIT has always had strong links with industrial companies in Japan. To further these links NIT opened the Industry-University Cooperation and Entrepreneurial Education Center to liaise with companies about their various technical needs, and to act as a networking hub between different industries. As a university, NIT has the research and development capability, and the technical skills, necessary to help design, develop, and produce products. 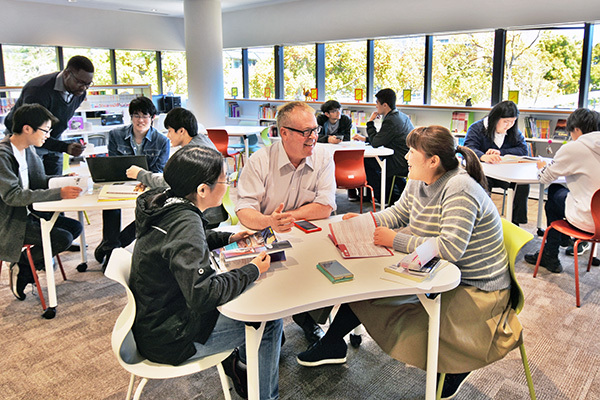 By coordinating and cooperating with industry, the Industry-University Cooperation and Entrepreneurial Education Center helps to contribute to Japan's technical ability. 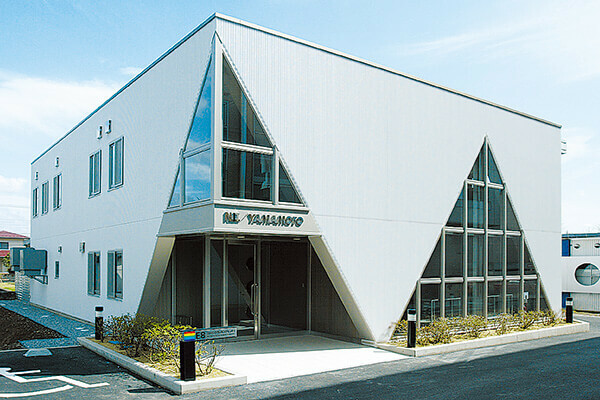 An example of this cooperation is Nikko Techno Limited. Nikko Techno Limited was founded as a joint venture between Bekaert (the world)s largest independent wire producer) and NIT in 1997. NIT had developed an innovative production method that enables the manufacturing of small production runs and a wide variety of products. Nikko Techno Limited manufactures metal fiber and metal fiber-based products that are renowned for their high heat and corrosion resistance. The goal of our program is to develop communication and cross-cultural understanding skills in order to create knowledgeable engineers who can perform in the global workplace. Following the globalization of the manufacturing industry in recent years, engineers are required to be active on a worldwide scale more than ever, and need to have a good intercultural understanding and an acceptable amount of English skills in order to communicate with people from various regions of the world. Engineers often need to introduce their research results in English to gain recognition from around the world. In order to prepare for this globalization, NIT has set up the English Learning Center (ELC) to help engineering students acquire adequate English communication skills. The ELC is the center of English communication education at NIT, and it is where students can have practical English conversations with English-speaking staff. The ELC provides a variety of uniquely developed programs such as technical English, pronunciation practice lessons and many more that help students improve their English communication skills by the time that they graduate and are ready to present themselves confidently in a multi-cultural environment. 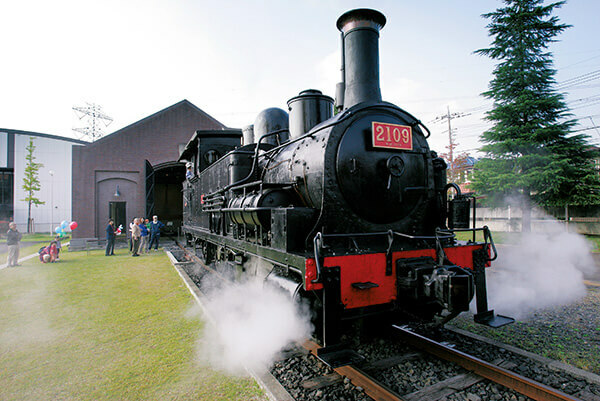 Experience the exhibitions of machines that contributed to the development of Japanese industry in its dynamic state. The museum, open also to the public, was established on campus to commemorate the 80th anniversary of the school. 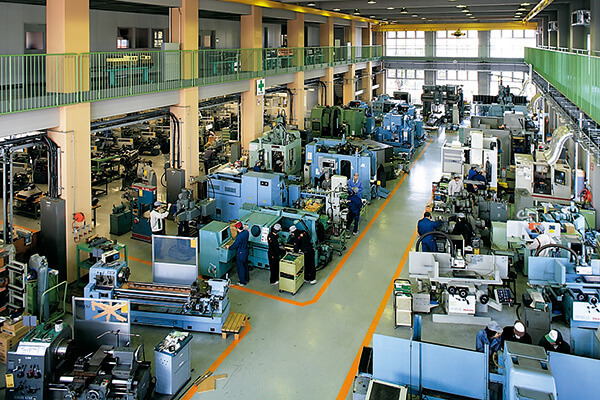 More than 250 machines that contributed to the development of Japanese industry are being exhibited according to their type and in chronological order of their manufacture date. Many of the machines are preserved in their dynamic state. The small back-street factory of the old days has been restored and a large gas turbine which was developed as a national project is also being exhibited here. A steam locomotive made in England in 1891 is preserved and regularly run on tracks laid on the premises. What is unparalleled with other universities, is that by directly touching, moving, processing and maintaining machines with historical values, new ideas are being born. 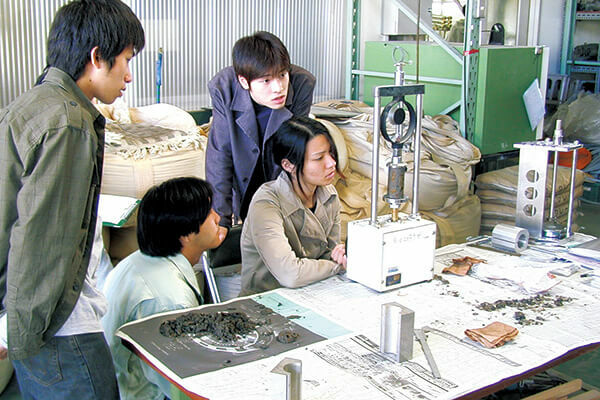 With the aim to nurture competent engineers who will engage in high-level manufacturing required to cope with the sustainable development of Japan, the museum will make efforts to enhance the varieties of machines and materials as well as to provide further twist to exhibition and its explanation notes. Our Landmark Centennial Memorial Hall is being used for multi-purposes as a forum for communication. The Centennial Memorial Hall constructed to celebrate the 100th anniversary of the school foundation is now our landmark. It opened in October 2007 as the LC Center (Library and Communication Center). The center acts as an academic research facility holding abundant books and references, as a communication facility equipped with internet, personal computers and AV systems, and as a forum for communications where classes, seminars and club activities are held. 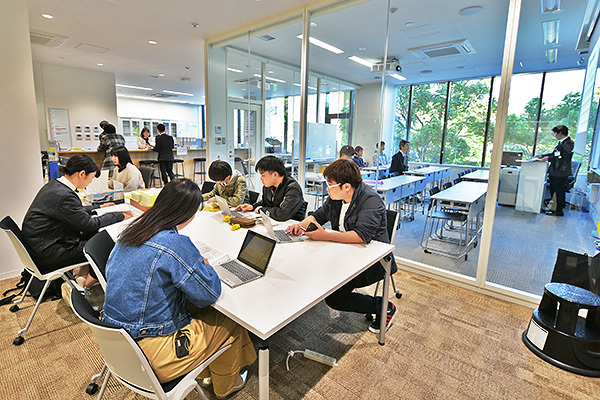 Furthermore, there is a cafeteria where people can enjoy coffee and light snacks. In the multimedia room, lectures, workshops and classes using visual images are held along with musical concerts and film showings. Students and faculty gather here to search and share "knowledge" and communicate with each other - the forum for people and communication are provided here at the LC Center. The hub of practical research aimed to nurture creative industrial engineers. Established in April 1971, the institute continues to pursue practical research on industrial technology education, especially those for junior high/technical high schools to university/graduate school level. Conducting distance learning programs connecting technical high schools with NIT and seeking ways to generalize such results to the public. Awarding the achievement of "Junior Meister" (awarded by The National Association of Principals of Technical Senior High Schools) among the students entering NIT. Offering the open course entitled "Technology Development and Creativity/Sensibility" by inviting eminent lecturers from various fields and experienced engineers. It also holds "sessions" for in-service professors who are also NIT alumni to encourage academic exchanges and to enhance each others' capabilities. Its future plans include providing assistance to the students who seek certifications.